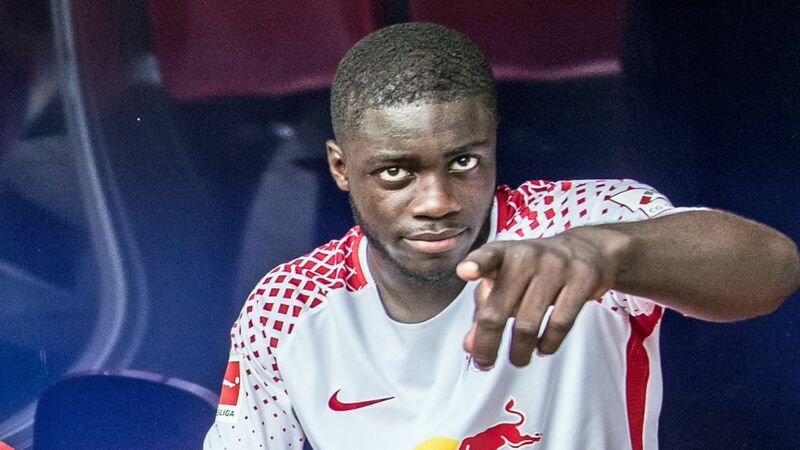 Bundesliga | RB Leipzig's Dayot Upamecano: the world's best young defender? RB Leipzig's Dayot Upamecano: the world's best young defender? From the playing courts in the suburbs of Evreux to the Bundesliga big time, Dayot Upamecano has climbed to the top in double quick fashion and with his impressive progress drawing plenty of plaudits from far and wide, the world is growing wise to RB Leipzig's elegant defender. Dayotchanculle Upamecano, a name not easy to grasp at first and a player equally tricky to get past. At just 19, the defender they call Dayot for short is now a mainstay in Leipzig's rearguard. Boasting astonishing ability in terms of skill and touch, the rangy centre-back possesses the composure of a player far older and the power of a pick-up truck. Try to outwit or outrun him if you can, but in all likelihood, Upamecano will catch up with you, outmuscle you, dispossess you and be off in the other direction as you lie on the turf wondering what just happened. "He loves defending, getting the ball off opponents," France youth coach Jean-Claude Giuntini said of Upamecano prior to the FIFA U17 World Cup in 2015. "He’s still young and has room for improvement, but he has a great attitude, and a lot of determination." The promise that was there three years ago has been realised today, with his teammate Yussuf Poulsen recently explaining, "He is now the best centre back. He is a top player, fast, clever good in a duel; it's just very hard to get past him." Sharing the concrete football courts amid the tower blocks back in France with Ousmane Dembele - the ex-Borussia Dortmund dynamo now at Barcelona - Upamecano still had it all to learn as a young boy. "He wasn't a natural talent; the abilities he has now weren't there when he came to us," the coach of Evreux FC, Romaric Bultel, explained. "He worked hard and listened. He even worked with us outside of training, practicing ball control, working on his speed and tactical aspects of the game. That's how he continually overcame that initial deficit. He was a touching kid. Not particularly talkative, but when he did say something, it had an effect on you." Watching Upamecano read the game, come to a quick and decisive conclusion in terms of a tackle or a firmly hit pass, or even make speedy forward progress, moving the ball delicately between his feet, is a joy. Valenciennes FC saw the promise, adding the shy defender to their Under-17 team. France youth coach Giuntini was also a big fan, and together they won the 2015 UEFA European Under-17 Championship in Bulgaria, Upamecano featuring prominently at the finals. “The more I played, the better it was," the Leipzig No.5 said of that time, a time of great change and maturation that stemmed from a switch to RB Salzburg shortly after gaining European youth glory. A loan to FC Liefering acclimatised the player, brought his first professional games before a return to Salzburg for the 2016/17 campaign. He played a total of 23 games across all competitions and would gain Austrian league and cup medals for his part in a club double. Yet the big time wasn't far away. RB Leipzig made a move for the player in January 2017, and Upemcano, timid, retiring Upamecano, soon stepped off the bench to stand in front of the Yellow Wall at Dortmund to make his Bundesliga debut. "I was so excited because there were so many spectators," he explained of that incredible moment. "I had never played in front of so many people." Nor did the growing French star look out of place in the imposing Signal Iduna Park. He certainly had to learn, and didn't have an easy time adapting to the famous Leipzig counter-thrust game. Yet this season Upamecano has entered the zone, played 27 games across all competitions and is vital to coach Ralph Hasenhüttl's set-up seeking to emulate last season's Bundesliga feat, all the while chasing Europa League glory. Leipzig's youngest-ever Bundesliga player, Upamecano - who boasts a top speed of 21.3 MPH - even scored the club's 100th goal in the German top-flight in a 2-0 win against Augsburg recently. With a contract at the Red Bull Arena until 2021, the dynamic defender is determined to continue his development among the elite of German football. "I see no reason why I should go away," he said ahead of Leipzig's Europa League, Round of 32 second leg against Napoli. "I have a huge opportunity here to develop and to get regular game time." Bad news, Bundesliga attackers.